Photo: Thrusie Maurseth-Cahill: Patrols are back on! See you on the beach. We are back on the beach this weekend with patrols starting on Saturday and through to Monday with the long weekend. Rosters and Patrol swaps documents are available for patrol members. It’s great to see every section of the club filled with many members keen to get involved in the 18/19 season. We will be publishing a handbook for members with information on all sections, it will be updated regularly with lifesaving, competition, education, nippers and general club information. This Sunday bottles is back! Bring friends and family down at 5pm to enjoy your club. One of our sponsors the Sydney Roosters are in the grand final so the game will be on the big screen. One of the main fundraising functions for the club is coming up with the Legends Lunch at Doltone House. It’s always a great day with many members booking tables and bringing their business colleagues and friends. Hope to see you there! See you on the beach and hope the water warms up soon! Legends Lunch headline guests announced! NSW’s successful State of Origin rugby league coach Brad Fittler has accepted the guest speaker role for Bondi Surf Bathers Life Saving Club’s annual Legends Lunch. The lunch will offer an intimate insight and reflection on one of the game’s great minds. Brad this year coached the Blues to a series win against Queensland. And over his 300-game career, he achieved almost everything as a player. Ned Wieland, the Waverley College student who in 2017 became the youngest Australian to swim the English Channel at the age of 16 years and 10 days, will be another of our guests. He recently returned from America, where he completed the triple crown of ocean swimming, adding the 20 bridges of New York to his Catalina Island and English Channel swims. Why do local businesses provide Clubbies with discounts for their services? We asked, and an amazing 60% responded. Overwhelmingly, they “want to give back and support the local community, in particular to a vital service that is an essential part of Australian culture”. However, a lot of local businesses also said that they had very little uptake if their offers!!? This is a shame. We are going to be working very hard this season to promote these amazing discounts and support our generous local businesses. 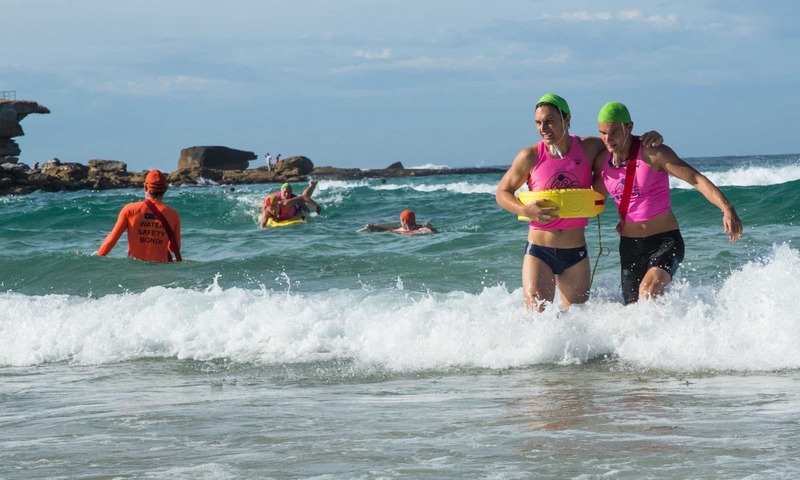 ‘show support to Bondi-centric community activities”. If you’d like to compete at the 2018 Worlds in Adelaide, send an email – with your events and vest size – to entries@bondisurfclub.com before Friday 5 October. There was a great turnout for the Pre-season Surf Sports meeting on Sunday, 23 September. More than 50 people attended, from ages 14 – 72. In case you couldn’t make it, here’s a few things to mark on your calendar. No more excuses! Get yourself to the beach and get fit. Here are the training sessions for the coming months. We are delighted to offer the following Clint Robinson Clinics to Bondi Surf Club Members. The cost is $50 for one session and $70 for 2 or more sessions. We are looking to grow our R&R section. Anyone who is interested in competing is invited to a pre-season briefing on Saturday, 20 October at 10:00 am in the Club hall. We would like to establish interest for the various age groups (U/15’s, U/17’s and U/19’s) as a first step. U/17 competitors who have not yet obtained their Bronze Medallion will need to do this before they can compete. (This relates specifically to those graduating from the U/15 ranks). We will be holding our proficiency for Bronze and SRC on Sunday, 4 November, followed by a BBQ. This season, we’ll hold Gold Medallion swim time trials at Icebergs every month. If you want to be Gold qualified (or to remain proficient), your qualifying time is 800m in 14 minutes or less.